Deepak Maharaj was born on 25th February 1970 in Delhi into the illustrious family of Kalka-Bindadin Gharana. He received his training from a very tender age from his father, the renowned kathak maestro Pandit Birju Maharaj. He began performing on stage from the young age of nine and also accompanied his father on many concert tours in India. Shakir Khan is a promising and talented young artist with an exquisite sense of sur and laya reflected through his performance. Eldest son and disciple of the world famous sitar maestro Ustad Shahid Parvez Khan, Shakir belongs to the 8th generation of the famous Etawah Gharana. He has showcased his talent in prestigious Indian music concerts including the Dover Lane Music Conference, Saptak Music Festival, Tansen Music Festival and across US, Canada, Europe and also in Woodstock Festival in Poland. Meena Fatarpekar is the grand-daughter of the doyens of Kirana Gharana, Saraswatibai Rane and Hirabai Badodekar and her music has been cultured under this family tradition. Well versed with classical,bhavgeet,natyasangeet,bhajans and thumari, Meena is blessed with melodious and versatile voice. She has to her credit many prestigious concerts in India and abroad. The young duo Debapriya, a vocalist and Samanvaya, a sitarist have conquered the audience with their Jugalbandi, a confluence of two souls, two minds, two thoughts and expressions. The audience is enthralled as they improvise any common composition based on an Indian Raga, complementing each other's style and presentation. Debapriya and Samanwaya are accomplished in rendering pure classical, tappa, tap-khyal, thumri, dadra, chaiti, holi, kajri, jhula, under able guidance of their Gurumaa Girija Deviji. A vocalist par excellence, Sameer Dublay started under Pandit Rambhau Mate and mastered nuances of raags and performance technique with Pandit Jitendra Abhisheki, a legendary vocalist of Agra Gharana. At present he is learning from Dr. Ashok Da. 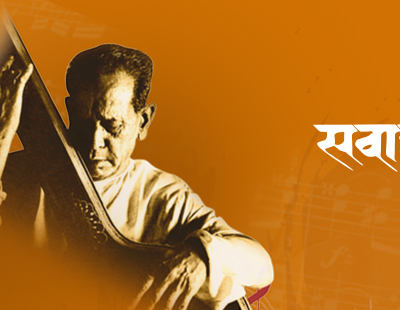 Ranade, the great musician and musicologist. Sameer has toured extensively in India, UK, Europe, USA and Australia and has performed at numerous concerts. His CDs and writings are applauded.